Part 3 of the Legal Aid Sentencing and Punishment of Offenders Act 2012. deals with Sentencing and Punishment of Offenders. Part 3 divides into 9 Chapters which cover a very considerable range of criminal justice issues: 1. Sentencing; 2. Bail; 3. Remands of children otherwise than on bail; 4. Release on licence; 5. Dangerous Offenders; 6. Prisoners; 7. Out of Court disposals; 8. Rehabilitation of Offenders; 9. Offences (including more legislation on the use of reasonable force in self-defence). The 9 Chapters cover sections 63 to 141 and bring into play Schedules 9 to 27. In December 2010 Law and Lawyers looked at the Green Paper - "Breaking the Cycle ...." - which set out the government's thinking on reforms to the ways in which offenders are dealt with. This post looks at the Sentencing aspects in LASPO Part 3 Chapter 1. Many of the changes are aimed at improving then efficacy of community sentencing and some new requirements for Community Orders enter the law. Certain amendments are made to youth justice - referral orders, detention and training orders and youth rehabilitation orders. The maximum sentence power of the Magistrates' Court will be lifted. Some sentences (Custody Plus and Intermittent Custody) are consigned to history. More of the detail follows together with links to the relevant sections. Section 63 - Duty to consider compensation order - section 130 of the Powers of Criminal Courts (Sentencing) Act 2000 (compensation orders against convicted persons), is amended by the addition a section 2A - "A court must consider making a compensation order in any case where this section empowers it to do so.” Of course, this does not actually require the court to make such an order - just to consider doing so. Section 64 - Duty to give reasons for and to explain effect of sentence. Clear explanation of sentencing assists the public to understand the criminal justice process. (Fair and accurate reporting of sentencing remarks is also required). All too often, courts sentencing offenders are remiss in terms of the explanation given for why a particular sentence has been imposed. For example, in the case of "tweeter" Liam Stacey (considered on this blog) it is still unclear why the court considered a sentence of 56 days immediate imprisonment to be in order as opposed to, for example, a suspended sentence order which could have required him to undertake a requirement such as unpaid work. No doubt some would agree entirely with the 56 days. However, especially in the light of the government's emphasis on the large prison population and not using custodial sentences, others would reasonably consider that a more rehabilitative approach might have been preferable. The Criminal Justice Act 2003 is amended by a replacement for section 174. (1) A court passing sentence on an offender has the duties in subsections (2) and (3). (2) The court must state in open court, in ordinary language and in general terms, the court’s reasons for deciding on the sentence. (d) the effects of failure to pay a fine, if the sentence consists of or includes a fine. Criminal Procedure Rules may prescribe cases in which either duty does not apply, and may make provision about how an explanation under subsection (3) is to be given. Furthermore, a number of particular duties are imposed on sentencers. The court must identify any definitive sentencing guidelines relevant to the offender’s case and (a) explain how the court discharged any duty imposed on it by section 125 of the Coroners and Justice Act 2009 (duty to follow guidelines unless satisfied it would be contrary to the interests of justice to do so); (b) where the court was satisfied it would be contrary to the interests of justice to follow the guidelines, state why. The sentencers must state the fact that a sentence has been reduced because of a guilty plea. There are further duties to in relation to imposing certain sentences on persons under age 18. Section 65 - Sentencing where there is aggravation related to transgender identity. The Criminal Justice Act 2003 section 146 is amended so as to add "transgender identity" to the factors requiring an uplift in sentence. Section 66 - Duration of community order - amends the Criminal Justice Act 2003 section 177 and Schedule 8. 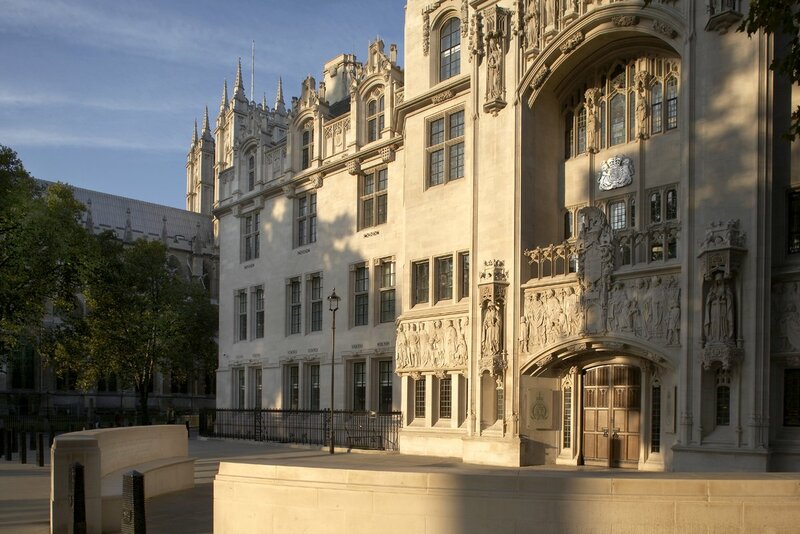 Sentencing courts will be enabled to specify dates for the end of community orders and also to specify dates for compliance with requirements. These amendments will be especially important in Magistrates' Courts. Section 67 - amends the Criminal Justice Act 2003 Schedule 8 which deals with breach, revocation or amendment of community orders. Section 69 - Fine for breach of suspended sentence order - A fine (not exceeding £2500) may be imposed for breach of a suspended sentence order). Section 70 to 78 are concerned with the various requirements which can be included in community orders. Of particular interest here are the new requirements in sections 72 and 76 - Foreign Travel Prohibition Requirement and Alcohol Abstinence and Monitoring Requirements. (Section 77 enables pilot studies to be conducted in relation to Alcohol Abstinence and Monitoring Requirements). Youth Justice - Sections 79 to 84 are concerned with amendments to the law on Referral Orders (s.79). Breach of Detention and Training Orders (s.81) and Youth Rehabilitation Orders (sections 81-84). Where, on the commencement day, a relevant offence would, apart from this subsection, be punishable on summary conviction by a fine or maximum fine of £5,000 or more (however expressed), the offence is punishable on summary conviction on or after that day by a fine of any amount. Where, on the commencement day, a relevant power could, apart from this subsection, be exercised to create an offence punishable on summary conviction by a fine or maximum fine of £5,000 or more (however expressed), the power may be exercised on or after that day to create an offence punishable on summary conviction by a fine of any amount. The Secretary of State may by regulations make provision disapplying these provisions. This is a very significant increase in the powers of the Magistrates' Court which has hitherto been limited to fines of Level 5 (£5000) for most offences - (NB: there are some significant exceptions). However, in practice, few fines imposed on individuals come anywhere near £5000 let alone higher amounts. There are also major issues relating to unpaid fines which LASPO appears to do little to address. 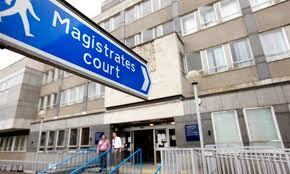 Section 86 - Power to increase certain other fines on conviction by magistrates’ court - in relation to "relevant offences" the Secretary of State is given power to increase the maxima for fines in the Magistrates' Courts. Section 87 - Power to amend standard scale of fines for summary offences - The Secretary of State may by order substitute for the sums for the time being specified as levels 1 to 4 on the standard scale in section 37(2) of the Criminal Justice Act 1982 (standard scale of fines for summary offences) such other sums as the Secretary of State considers appropriate. However, this power may not be exercised so as to alter the ratio of one of those levels to another. These changes are subject to affirmative resolution procedure in Parliament. Section 88 - amends the law relating to Withdrawal of warrants of control issued by a fines officer. Section 89 - Custody plus orders and intermittent custody orders - provisions in the Criminal Justice Act 2003, permitting so-called custody plus and intermittent custody are removed. (The provisions added complexity to the law and, in the main, were never implemented. They will not be missed). With regard to Liam Stacey, I think a police caution would have been sufficient. I wish the government would look at the inconsistencies of sentencing in general eg. how violent crimes can end up with the offender walking free, and yet speech crimes can end up with long custodial sentences. As an ordinary member of the public, I have been shocked to discover (via all the recent Twitter/Facebook cases in the media) that courts send people to prison for insults. I can't help but compare that to assaults etc. and wonder how we allowed the madness of making, say, racial insults worthy of greater punishment than violent crime. I'm sure I'm not alone in feeling angry about these injustices. A lot of us didn't know about them until recently though. I wonder how much resentment is brewing out there.